James Reid and Nadine Lustre each grace a cover for the May 2018 edition of Garage Magazine. 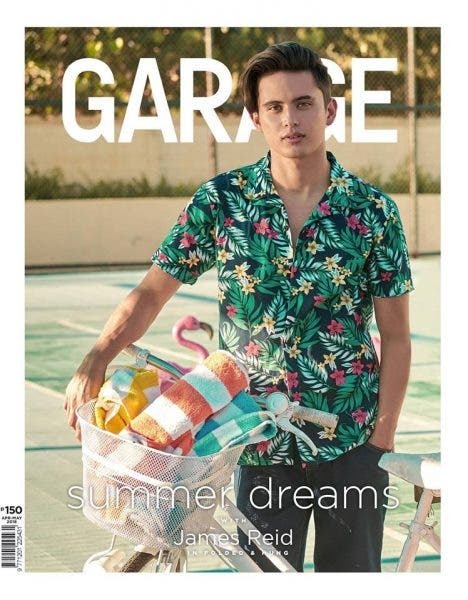 SUMMER DREAMS: James Reid, wearing the latest Folded&Hung collection, spills the beans on his current obsessions. Grab a copy of Garage Magazine’s Big Summer Style Issue, out now! In this issue, Nadine Lustre also covers the issue in this special double edition. Last Day to Vote for the ‘Sexiest Man in the Philippines for 2016’ – It’s Down to Xian Lim vs James Reid! James and Nadine really deserve to be on the Garage Magazine, They are indeed very fashionable , talented and good looking and lot more.